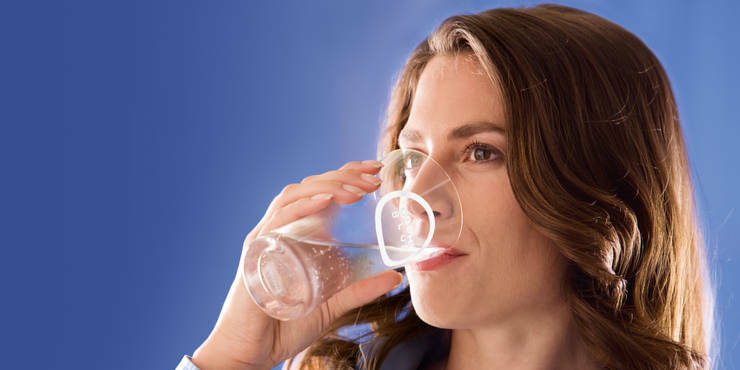 Our all-in-one home water cooler and carbonation system delivers freshly chilled and filtered water straight from the kitchen faucet, with a level of carbonation matched to your taste. Still, semi-sparkling or carbonated? Unlike a tabletop soda maker, our water filter faucet with cooler and carbonator takes up no extra space on your kitchen work surface. 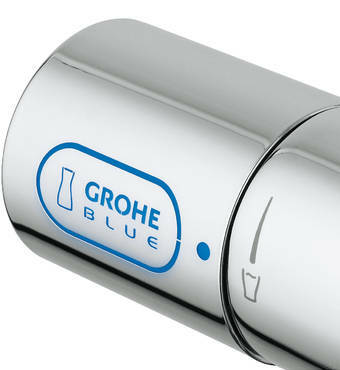 The GROHE Blue® Chilled & Sparkling water filter system delivers filtered, chilled and carbonated water direct from your kitchen faucet. 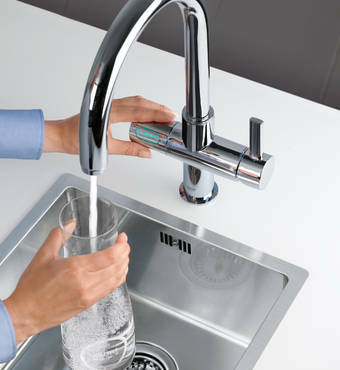 Simply turn the three-step handle on the left of the faucet to select chilled and filtered water, with a level of effervescence perfectly tuned to your palate.